Tamara B. Packard has been practicing law for more than 20 years, primarily in civil litigation and appeals, emphasizing employee rights and civil rights law. She is rated "AV Preeminent®" by Martindale-Hubbell and is a Senior Fellow of the Litigation Counsel of America. Tamara was named the Best Lawyers® 2017 "Lawyer of the Year," for Madison for "Appellate Practice," Best Lawyers® 2016 "Lawyer of the Year" for Madison for "Employment Law-Individuals," and a 2017 Leader in the Law by the Wisconsin Law Journal. Wisconsin Super Lawyers ranked Tamara in the "Top 25" women lawyers in the state, as well as in the "Top 25" Madison area attorneys, for 2017. In addition to her litigation practice, Tamara negotiates employment contracts, separation agreements, and covenants not to compete (also called "non-competes" or "restrictive covenants") on behalf of employees, including corporate executives, medical care providers and biotech professionals. When negotiation over a previously entered into covenant not to compete is no longer an option, she litigates on behalf of her clients to void or limit the covenant with the goal of enabling them to pursue their chosen careers without interference. Tamara represents licensed health care professionals in misconduct investigations and proceedings before Wisconsin's licensing boards, including the Nursing, Veterinary Examining and Medical Examining Boards. She also assists recent law graduates and out-of-state attorneys who are having difficulty securing admission to the Wisconsin Bar. An advocate for employees, Tamara handles gender, disability, and sexual orientation discrimination claims, as well as claims under the Federal and State wage and hours laws and Family Medical Leave Acts. She works with University of Wisconsin, State civil service, and other public sector employees who are under investigation, or have been disciplined or terminated. She also assists State employees to appeal discipline imposed without just cause through the grievance process and before the Wisconsin Employment Relations Commission (WERC). Tamara's federal and state court litigation and appellate practice includes representing businesses in commercial disputes and serving as local counsel in complex consumer and employment class action cases. She was part of the legal team that won an injunction against Wisconsin's Voter ID law in 2012 and successfully defended Wisconsin's Domestic Partnership Registry in 2011. As an Adjunct Professor at the University of Wisconsin Law School between 2008 and 2013, Tamara taught courses on sexual orientation and the law. She is a founding board member of the Fair Wisconsin Education Fund, and served as its President for the 2006-2007 term. She is committed to equality for lesbian, gay, bisexual and transgender people, and to that end has performed pro bono legal work for Lambda Legal Defense Fund, National Center for Lesbian Rights, the ACLU, and Fair Wisconsin. 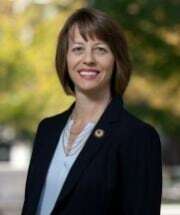 Senator Jennifer Schilling appointed Tamara to the Wisconsin Ethics Commission on June 15, 2018, and she was selected to serve as the Commission's Vice Chair beginning July 1, 2018. Wisconsin "Super Lawyer" "Top 25" Women Lawyers, "Top 25" Madison area attorneys, 2017.